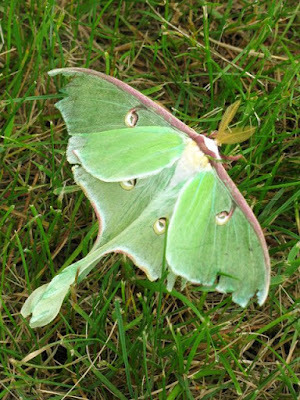 I'd never seen a luna moth before my summer as a camp nurse at Red Pine Camp. This one is a little ragged around the edges, but beautiful anyway. I love the pale green color.